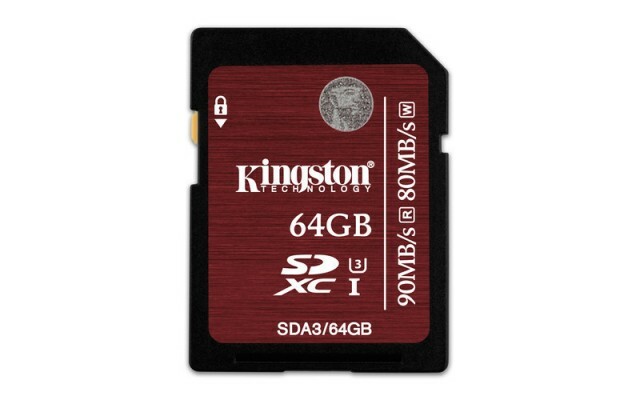 To go along with the new Panasonic GH4 4K camera that will be announced later tonight / early tomorrow, Kingston is first out of the gate with its official announcement of a new SDHC/SDXC UHS-I Speed Class 3 card in 16GB, 32GB and 64GB capacities. The new Speed Class 3 card guarantees minimun write speeds of 30MB/s. The minimum write speed of these cards translates to roughly 240Mbps, which fits well within the max on-board data rate of the Panasonic GH4’s 4K capture at 100Mbps for its IPB .mov/.mp4 4K capture and 200Mbps for its ALL-Intra .mov and .mp4 HD capture. 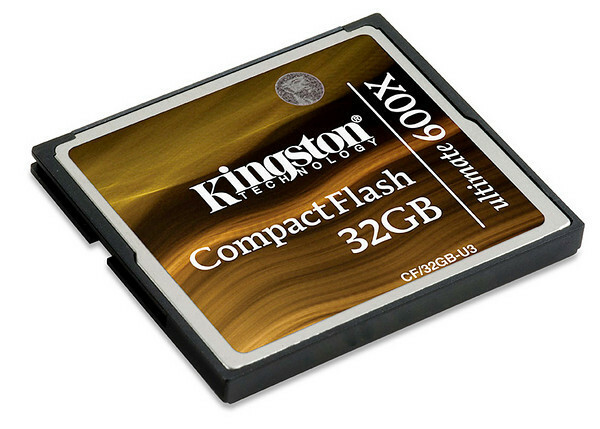 Additionally, the new Kingston card provides max speeds of 90MB/s read and 80MB/s write. Pricing isn’t all that bad either, considering the performance they offer. The 16GB cards run around $40 street and the 64GB cards are around $105 street. Check them out here on Amazon.com. 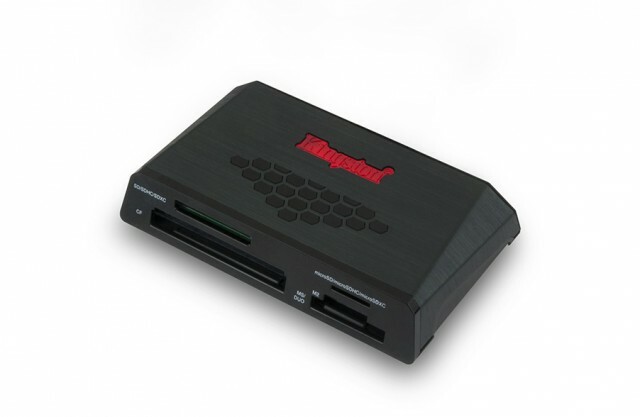 Kingston has joined the ranks of USRobotics and Lexar with its launch of a new USB 3.0 memory card reader that transfers data among CF, SD, microSD, and Memory Stick formats. The new card reader should be available soon at an initial retail price of $45.00. Check availability on Amazon.com. Kingston has announced a 600x CF card that supports UDMA Mode 6 for max transfer rates up to 90MB/sec. It comes in 16GB and 32GB capacities priced at $154 and $270 MSRP, respectively. Check availability on Amazon.com. 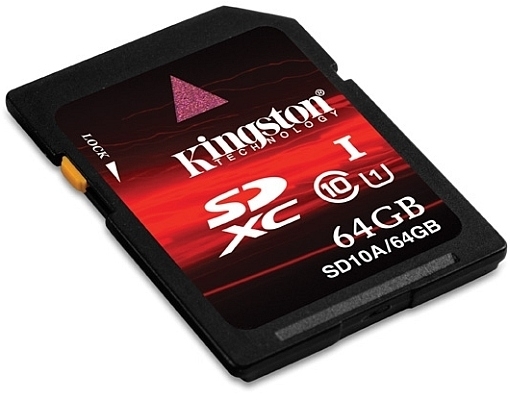 Kingston has just launched a 64GB Class 10 SDXC card that touts a 60MB/s read speed and a 35MB/s write speed. The new card carries a rather steep retail price tag of $499. I don’t know about you, but I’ll stick with using two 32GB cards until the price comes down a bit. Kingston has stepped up the capacity for their Elite Pro series to 32GB. I’ve been using a 16GB Kingston Elite Pro CF card for a a couple of months in my Canon 5D Mark II and have to say that it works quite well. It slows down after about 9 continuous frames (the best I’ve seen so far has come from Lexar’s 300x 4GB CF Card at 15 continuous frames before it slows down). With the Kingston 16GB Elite Pro, it’s also nice to have plenty of room for the 25MB to 30MB RAW files that the 5D Mark II produces. 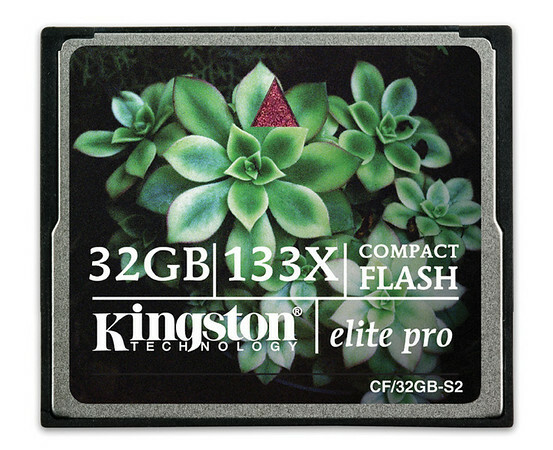 The Kingston 32GB Elite Pro CF card retails for $154. Check availability on Amazon.com.